calman62 said: > I just knew it! 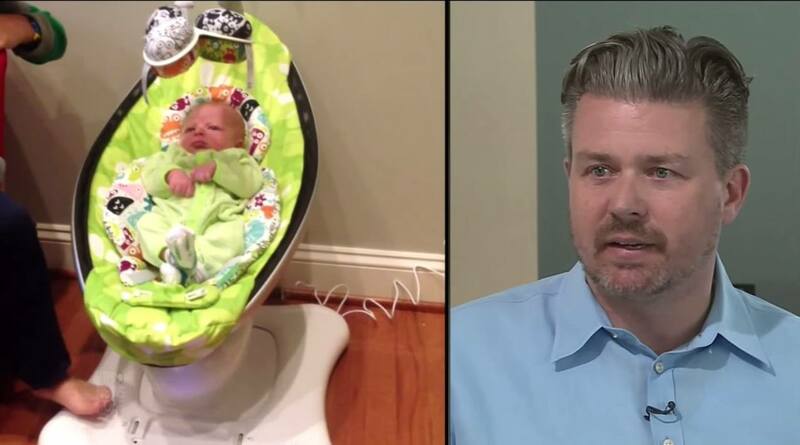 !, > The first time I saw a father accused of shaking his baby on the news. > He had this far away stare..I thought this guy didn't do this!. > But how in the world could you prove you didn't do something ?.It's that old saying ,"you can't prove a negative" > .Looking at this dad.I thought ,my God everyone thinks your a monster,the worst of the worst. > His family hates him ,his wife hates him ,the world hates him. > I could imagine all these thoughts an accused ( innocent)father of such a heinous crime of murdering your own child! > .That blank stare ,as he realize he could never prove he didn't do this. > He had just lost his daughter,his wife ,the love of his life,his family,his freedom,his reputation.He lost everything a man could loose. > He could not even attend his daughters funeral,he could not grieve for her. > I thought to myself , if I was ever accused of something like that,Facing this unimaginable charge > I don't think I could suffer through it. NOTICE TO ALL: GOVERNING Agents and Policy ENFORCERS and any employee of the U.S. CORP. GOVERnING BODY. Or the so-called STATE [KY.]. THEY LIE all the time ,its part of their JOB .they think they are little gods. In the first place they are not police man, they are policy Enforcers, they Force policy, RULES & STATUES, Regulations, codes, ordinances. On men and women .NOT COMMON LAW, I can just refuse to consent to DO anything they ASK YOU TO DO..I DO NOT HAVE TO REPLY TO ANY QUESTION THEY ASK. ! ! Just SAY I reserve ALL MY RIGHTS EXPLICITLY! I DO NOT CONSENT TO ANY THING YOU WANT ME TO DO!! I will not FIGHT or resist you ,but, on and for the record I Freeman of a Kentucky family A free man on the land of The Free Republic of Kentucky; I DO NOT CONSENT to Any and all of your demands upon me!I will Just sit down and shut-up! I WILL NOT Respond to any Question, no madder how small,I never say (OK)! !I DON'T REPLY TO ANY THING HE ASK me just say(NO)I did not do anything you say I did, THAT IS YOUR (Opinion)NOT FACTS!I DON'T NEVER SAY [OK]!..I DO NOT MAKE A PLEA! Or Take A PLEA! Or let anyone enter a plea for you. Including(but not limited to ) the judge! Just say; [Objection] I don't consent for you to enter a plea for me at this time I would like my DISCOVERY! I DON'T UNDERSTAND and I don't stand under, your U.C.C. STATUES! The U.C.C. STATUES is for CORPORATIONS! I do not consent to anyone or anybody or anything to take power of Att. over me (the man ).I RESERVE ALL MY RIGHTS EXPLICITLY ;I don't give up any of my rights at any time ,for any reason !. _signed by: Freeman of a Kentucky Family. _by:_______________ofthe_________________family / /2016 wittnes by:________________ofthe__________________family/ / /2016 by:__________________ofthe____________________family/ / / 2016 OPINIONS ARE NOT LAW ! ;No victim No Crime;No contract No case;No Jurisdiction NO CASE ! ! Admin said: > Two major mainstream media sites (Washington Post and PBS) ran reports on the injustice of false Shaken Baby Syndrome diagnoses this past week. Shaken Baby Syndrome (SBS) diagnoses have been used for many years now to falsely accuse parents of shaking their babies, with the result of parents either losing custody of their children to Child Protection Agencies, or parents being wrongly convicted of murder and being sent to prison. > > While neither of these reports explored the vaccine connection to SBS, this is certainly a step in the right direction to stopping these false accusations against parents who love their children and never did anything to harm them. NOTICE TO ALL: GOVERNING Agents and Policy ENFORCERS and any employee of the U.S. CORP. GOVERnING BODY. Or the so-called STATE [KY.]. THEY LIE all the time ,its part of their JOB .they think they are little gods. In the first place they are not police man, they are policy Enforcers, they Force policy, RULES & STATUES, Regulations, codes, ordinances. On men and women .NOT COMMON LAW, I can just refuse to consent to DO anything they ASK YOU TO DO..I DO NOT HAVE TO REPLY TO ANY QUESTION THEY ASK. ! ! Just SAY I reserve ALL MY RIGHTS EXPLICITLY! I DO NOT CONSENT TO ANY THING YOU WANT ME TO DO!! I will not FIGHT or resist you ,but, on and for the record I Freeman of a Kentucky family A free man on the land of The Free Republic of Kentucky; I DO NOT CONSENT to Any and all of your demands upon me!I will Just sit down and shut-up! I WILL NOT Respond to any Question, no madder how small,I never say (OK)! !I DON'T REPLY TO ANY THING HE ASK me just say(NO)I did not do anything you say I did, THAT IS YOUR (Opinion)NOT FACTS!I DON'T NEVER SAY [OK]!..I DO NOT MAKE A PLEA! Or Take A PLEA! Or let anyone enter a plea for you. Including(but not limited to ) the judge! Just say; [Objection] I don't consent for you to enter a plea for me at this time I would like my DISCOVERY! I DON'T UNDERSTAND and I don't stand under, your U.C.C. STATUES! The U.C.C. STATUES is for CORPORATIONS! I do not consent to anyone or anybody or anything to take power of Att. over me (the man ).I RESERVE ALL MY RIGHTS EXPLICITLY ;I don't give up any of my rights at any time ,for any reason !. _signed by: Freeman of a Kentucky Family. _by:_______________ofthe_________________family / /2016 wittnes by:________________ofthe__________________family/ / /2016 by:__________________ofthe____________________family/ / / 2016 OPINIONS ARE NOT LAW ! ;No victim No Crime;No contract No case;No Jurisdiction NO CASE ! ! I don't know why this showed up on my Facebook page today but reading this article has been a huge blessing for me. My seven and half month old was diagnosed as a "Shaken Baby" 12/30/1989, he was comatose until his death on 12/31/1989. Three of us who were with him in the days leading up to his collapse were polygraphed with no charges ever being brought. The years of self doubt have been washed away. At the time, I ask a neurologist who had been treating me to look at the medical records and autopsy report. His response was that "this has been going on for some time" due to evidence of older bleeding on the brain and fractures. There were no bruises or marks on the baby. I would think there would have to have been something to show the level of violence it would take to cause trauma equal to a baby being dropped from a third story window as was explained to me at the time. The baby had pneumonia in November. On Christmas Eve prior to his death I had taken him to a prompt care facility for vomiting and diarrhea. it is now painfully obvious that something other than "Shaken Baby" was going on. If your son was 18 weeks old, does that mean that he just got his 4-month vaccines two weeks before his symptoms appeared. Our baby had just gotten his 4-month vaccines three weeks before he stopped breathing. I would like to collect weight/height data from well babies and supposedly shaken babies to see if I can find some correlation between vaccines and the onset of symptoms. I am SO SORRY you endured such a horrific disruption to your lives. Our lives, likewise, have been severely disrupted because of completely false allegation of shaken baby. In Dependency Court you are, in fact, guilty until proven innocent. And their poor understanding of shaken baby made it possible for you to be convicted of murder when you did nothing. It might be hurtful for you to remember, but if you could send me ALL the weight/height data from your baby from birth through his death, that would be extremely helpful. And I would be most grateful. I just knew it! !, The first time I saw a father accused of shaking his baby on the news. He had this far away stare..I thought this guy didn't do this!. But how in the world could you prove you didn't do something ?.It's that old saying ,"you can't prove a negative" .Looking at this dad.I thought ,my God everyone thinks your a monster,the worst of the worst. His family hates him ,his wife hates him ,the world hates him. I could imagine all these thoughts an accused ( innocent)father of such a heinous crime of murdering your own child! .That blank stare ,as he realize he could never prove he didn't do this. He had just lost his daughter,his wife ,the love of his life,his family,his freedom,his reputation.He lost everything a man could loose. He could not even attend his daughters funeral,he could not grieve for her. I thought to myself , if I was ever accused of something like that,Facing this unimaginable charge I don't think I could suffer through it. I hope this, and hopefully this one will be ENOUGH to stop this madness, will reach the Supreme Court. There are still some females on the court, aren't there? Praying, working, hoping for them all...Cheers! Only thing I can say to Major Media is what took you so long to bring this to light?? Now I remember, the news media was too busy running stories to show that Parents were monsters by severely shaking their babies. Second paragraph of this story is even more critical "While neither of these reports explored the vaccine connection to SBS, this is certainly a step.."